Identify new trends in university housing. Explore how precast systems play a vital part in the aesthetic appearance, resiliency, and process-driven early occupancy of new student life environments. Explain how precast systems work within BIM, design assist, and other occupancy-driven processes, and how it leads to aesthetically pleasing structures that are also safe, durable, and easy to maintain. Discover unlimited aesthetic diversity through precast concrete. Four four-story buildings were constructed using architecturally finished structural precast concrete, vertically posttensioned precast concrete walls, and a pretopped plank system for the flooring. A revolution is underway on today’s job sites, as compressed timetables, complex trades coordination, and challenging aesthetic elements become the new norm. This change has swept into university housing, just as a majority of institutions are planning to renovate or replace aging residence halls. In addition to shifting construction demands, the concept behind student housing is undergoing its own “tectonic shift,” a shift placing a larger emphasis on student living as an integral part of the learning process.1 The style of university housing also is not exempt from this wave of change. The aesthetics behind student housing are now called on more and more to extend the university’s brand and lifestyle message. From concept and design to construction and occupant comfort: change has affected them all. It is not often that such a diverse set of demands is met with a ready solution. Yet precast concrete’s attributes can meet the needs of the institution, the student, and the design-build team. Precast systems can play a vital part in the aesthetic appearance, functionality, resiliency, and process-driven early occupancy in new student life environments. The realities of escalating demands placed on student housing and the need for outstanding student housing in order to be competitive come at a time when university budgets are more constrained than ever. Complicating the issue for facility directors and student housing developers, the majority of campus housing stock is old, with a median age of 40 to 50 years.2 University housing needs new, remarkable structures to attract an increasing student population—projected to reach 19.6 million students by 2024. And those structures need to combine the attributes of aesthetics, functionality, resiliency, and compatibility with process-driven early occupancy. In order to transform student housing beyond the limitations of traditional dormitories, new design strategies are emerging. In June 2016, Syracuse University announced plans to shift all student housing to its Main Campus, constructing groups of residences that will form housing neighborhoods, each with its own identity. 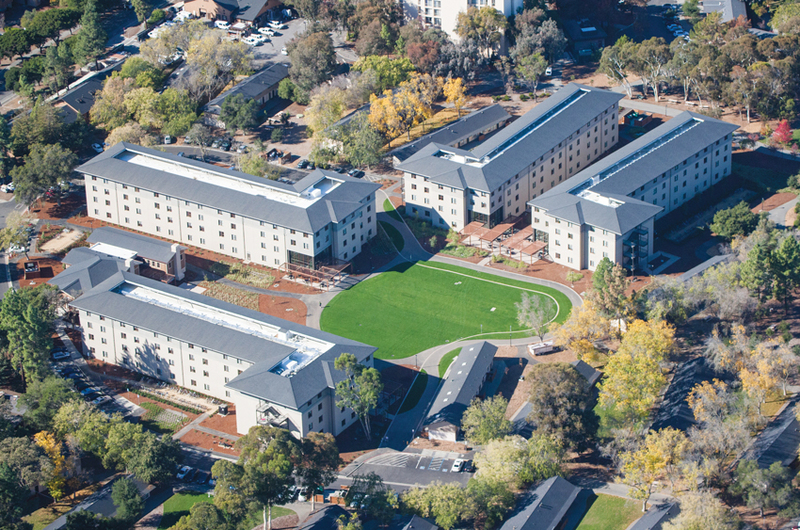 The use of words like “neighborhood” and “community” when describing university dormitories reflects the importance of New Urbanism in forming student life communities. When planning student housing developments, a majority of universities are embracing the tenets of New Urbanism. Broadly, New Urbanism is a design movement that takes a holistic view of development. Under New Urbanism, a planned neighborhood encompasses factors like measuring walkability, enabling a diversity of jobs, and planning a wide range of housing types. 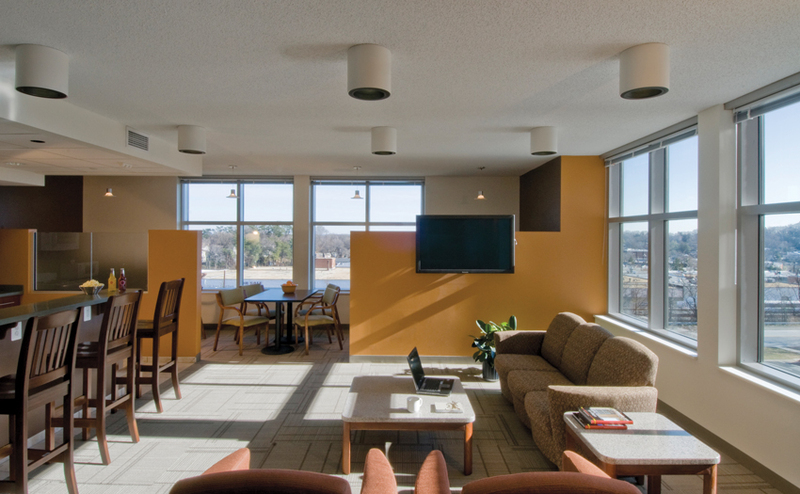 When applied to student residences, dormitories are transformed into buildings with a diversity of uses and occupants, becoming a “student-life complex.” Dormitories become places where students eat, learn, sleep, study, shop, and recreate. Designs that emphasize the social, blended nature of learning, while maintaining students’ desire for privacy, hallmark housing as modern, innovative spaces. University housing directors are faced with balancing the importance of community, the need for flexible design, and the demand for amenities with today’s student’s desire for privacy.